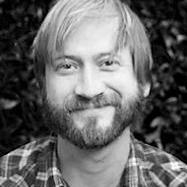 Peter Brinson is a game developer, filmmaker and educator living in Los Angeles. His work explores the narrative possibilities found in animal protagonists, documentary play and collective ownership. His films and games have exhibited in numerous venues, including the Nam June Paik Art Center, ZKM, Royal Ontario Museum, Museum of Modern Art, A Maze Videogame Festival, Independent Games Festival, KW Institute of Contemporary Art, Ars Electronica, Slamdance, Indiecade, Yerba Buena Center for the Arts, Games for Change, and SIGGRAPH. Brinson attended the University of North Carolina and the California Institute of the Arts.